Six friends; a Dwarf, an Half-Elf, a Warrior, a Mage, a Knight and a Kinder set out separately to seek a sign of the true ancient gods of the world of Krynn. Five years later, they reunite amid rumors of war and growing evil. It's not until they meet a beautiful Tribal Princess and her Barbarian protector that they find the sign that they've been seeking in the form of a miraculous blue crystal. 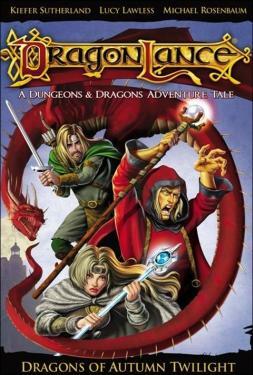 But suddenly they face a war against an army of dragons that overtakes their homeland, forging them to be the greatest heroes of the world of Krynn.